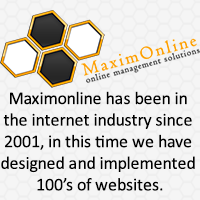 Maximonline has been in the internet industry since 2001, in this time we have designed and implemented 100’s of websites. Our clients range from small startup businesses to large companies with offices all around the world. No company is too big or too small for our solutions. 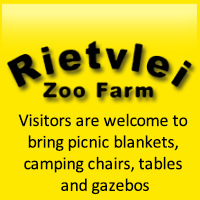 Our aim is simply to give every business in South Africa the opportunity to have an internet presence and to take advantage of the world wide web. Web Site Design Your web site is a representation of your company on the web, therefore we take great pride in all our design work. Domain Registration and Renewals This will be your very own www.yourcompany.co.za. Web Site Hosting Once you have the domain name and a complete web site, for the world to now be able to see your web site it will need to be hosted. We can take care of all your hosting needs, both locally and internationally. E-mail Accounts We offer all clients unlimited email accounts @yourcompany.co.za. Give each of your departments and employees a personalised e-mail account. Marketing We will submit your web site to numerous search engines around the world. Making it easy for potential clients to learn more about you business. Maintenance Regular web site maintenance is important, we work closely with all our clients to ensure that their web site is always updated. We offer an all inclusive solution for achieving INTERNET PRESENCE at an affordable monthly fee. Contact us today to find out how we can provide you with INTERNET PRESENCE. Other Services If you wish to find out more about our Custom Web and Application Development, Bulk Emailing Solutions, Social Media Marketing, Search Engine Optimisation and Google Adwords services, please contact us today.